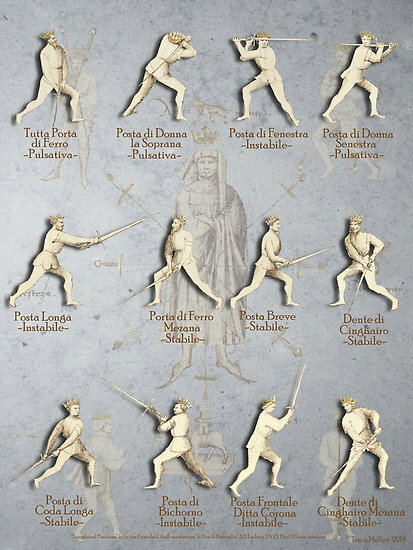 From our Historical Swordplay class, our starting point is the twelve guard positions taken from Fiore’s treatise. Pulsativa therefore translates as something like ‘great smiting’. Stabile – ‘stable, firm, permanent, steadfast, fixed, immovable, durable’.